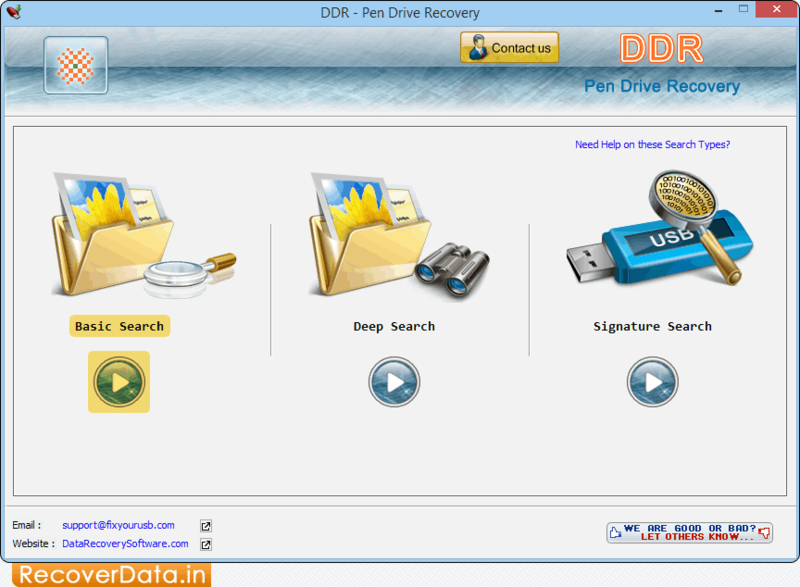 Select any recovery mode among Basic Search, Deep Search and Signature Search. 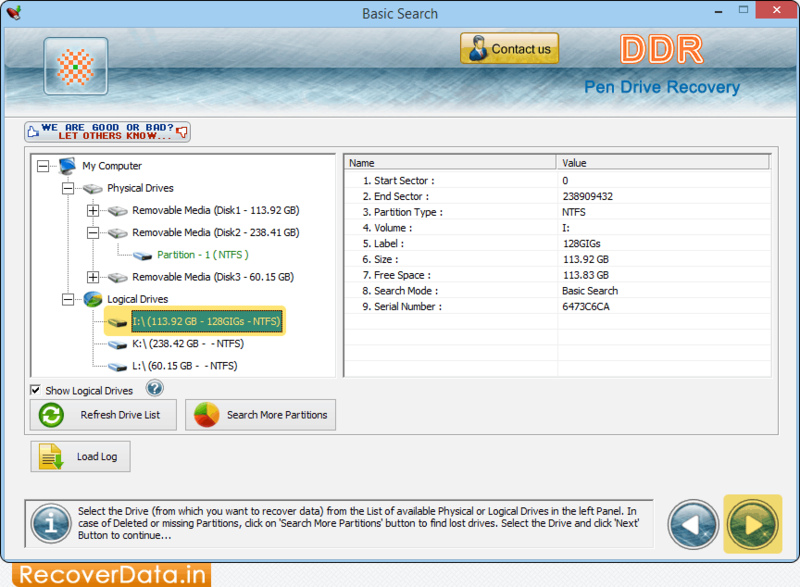 Select Logical Drive from left panel and then click on 'Next' button to cotinue. Currently Performing File Searching Process to recover lost data. 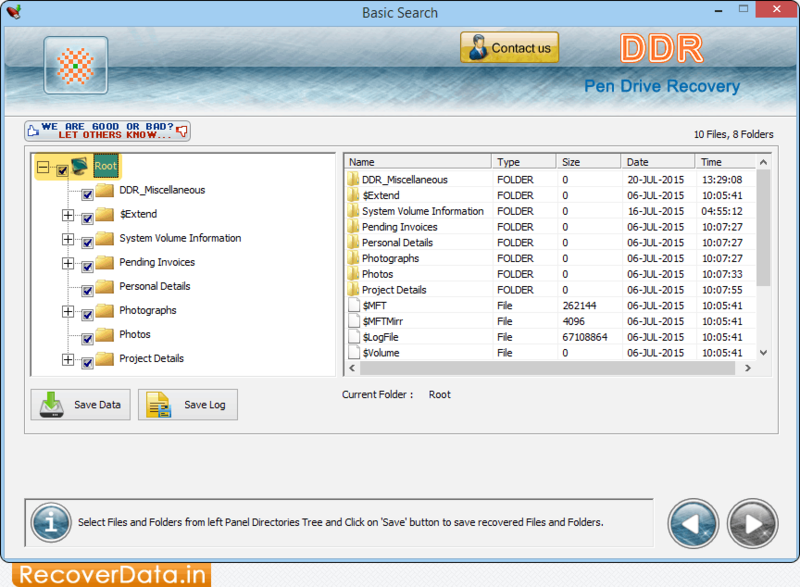 Select Folder from left panel and click on 'Save Data' button to save selected data.